Although this is only my fourth year teaching, I have quickly realized something about the beginning of the school year. All of the hours that go into professional development before school starts can be really effective. We're encouraged to create a classroom full of new opportunities and are trained to utilize the newest, research-based teaching strategies. Although summer's coming to an end, there's a little part of us that looks forward to a new school year to try new things and change everything that didn't go so well last year. We spend hours days weeks setting up our classrooms and feel so ready for those new babies to start on the first day. But then by October something happens. All of the new teaching strategies we learned before school started seems to fly out the window (I'm speaking for myself, but hoping I'm not the only one who finds myself in these situations). One of the strategies that has always been so difficult, yet important was facilitating meaningful conversations within the classroom. Over the past few years I've continued to tell myself, "I know what I need to do. Why can I not get it done? Why are the kids not understanding what I am trying to teach them? I'm doing what the district says is best practice- so why is it not working?" I've come up with several reasons of why this happens (in kindergarten): this child did not go to PreK and has never been exposed to school prior to this, this child is not developmentally ready for this lesson, this child lives in poverty and has no support at home, and finally, the reason for this blog post, I do not have the resources to effectively implement this new teaching strategy. Out of all of those reasons, there is only that I can actually change. If I don't have the right resources then my brilliant new idea almost always is going to slip away. One of those brilliant ideas was introduced to me at a training last year and it's called accountable talk. 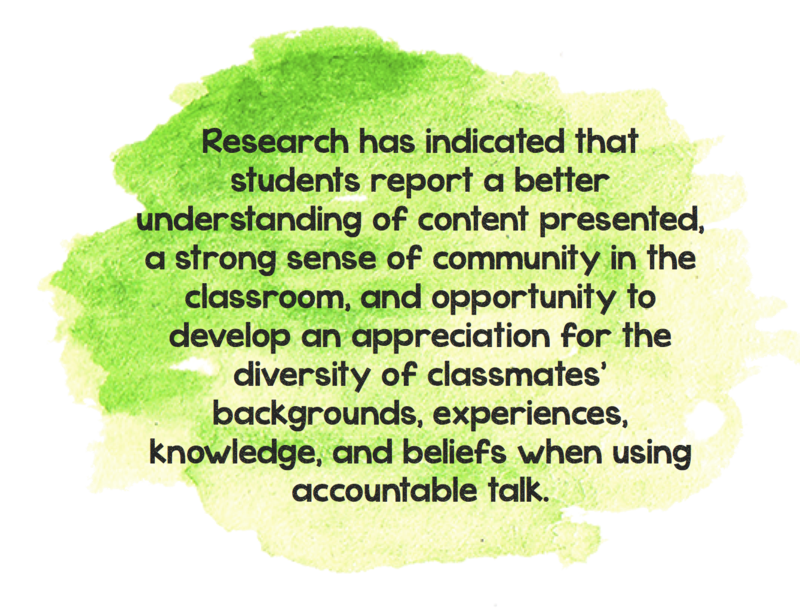 Accountable Talk is a set of research-based techniques that provides a framework for teachers to use as they strive to equip students with the skills necessary to carry on academically stimulating conversations. In other words, it's a way for teachers to facilitate meaningful conversations among their students. It was difficult to implement accountable talk into my classroom discussions at first (especially because it was kindergarten and they freely say whatever they feel/think/see at the time). I eventually realized I needed something that served as a reminder of what to say and when which is what led me to make these resources. 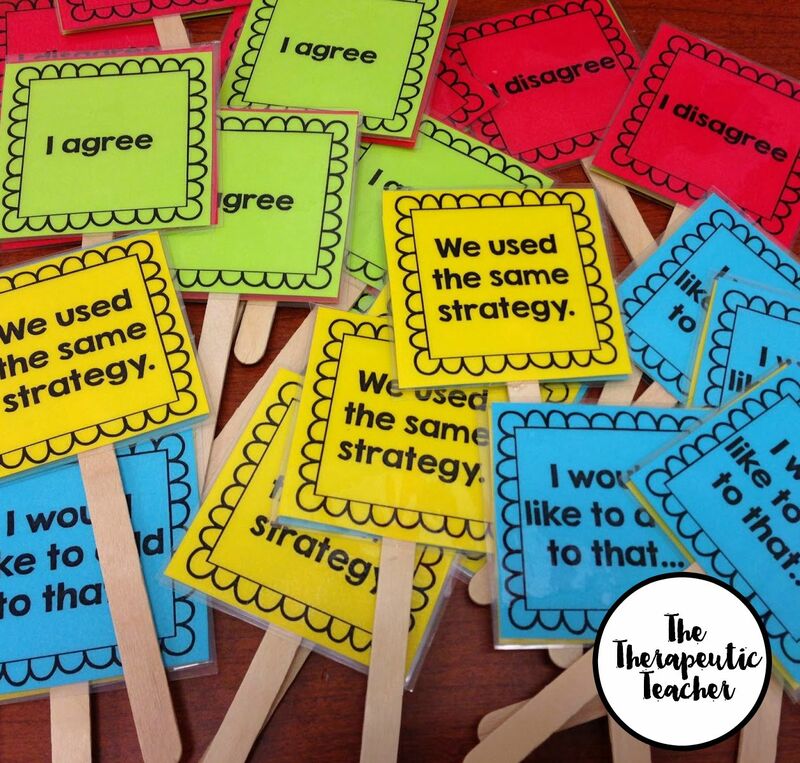 Then we practiced talking to each other using the “I agree/disagree” talking sticks with easy questions such as favorite foods, ice cream flavor, etc. I only used agree/disagree with my kindergarteners for awhile because it was easier for them to focus on those two as opposed to several at one time. We practice revoicing by saying “What I heard you say was...” before responding to someone. To reinforce these talking stems in my room, I made posters and desk cards. These would be great with older grades (not only because they can already read) because many students hesitate to answer questions for several reasons. 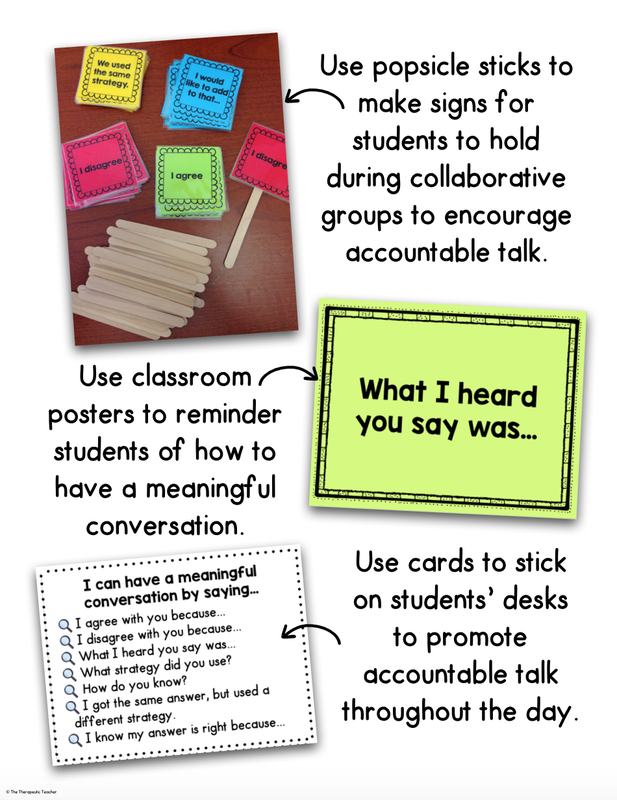 These talking sticks, posters, and desk cards remind students of appropriate ways to have a conversation and answer/ask a question. When they use this language, they know they are making their teacher happy and feel less embarrassed to speak because it’s common language of the classroom. A great way to get students thinking about math problems is to challenge them to think of other ways to solve the same problem. Some students prefer to use a visual model to get their answer, others prefer to do everything in their heads. 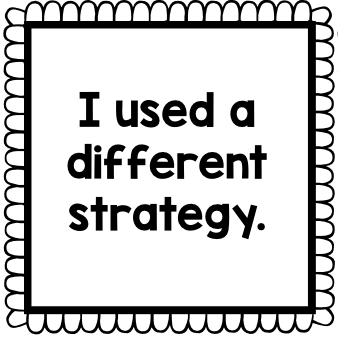 Having students share these strategies will provide alternative strategies for all students in the classroom sending that “oh, I’ve never thought of it that way” message. My Accountable Talk Toolkit will be FREE for a week! Click the picture below to take you to my store! 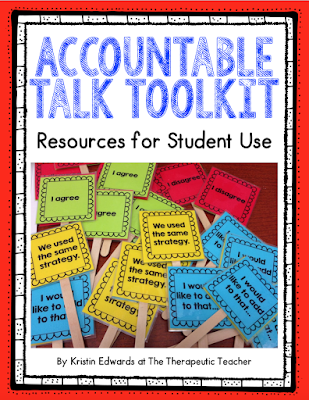 Do you already use accountable talk in your classroom? 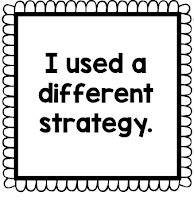 I would love to hear other strategies you have! Leave a comment below!